Deanna Spingola talks to her guests Wolfgang Halbig, Jim Fetzer and Dave Gahary, as they discuss their day in Newtown, Connecticut. Update (by Deanna): Unfortunately, Dr. Fetzer and Mr. Halbig were unavailable for the program. They decided to join Jeff Rense later in the evening after taking a much-needed rest from their day's activities. 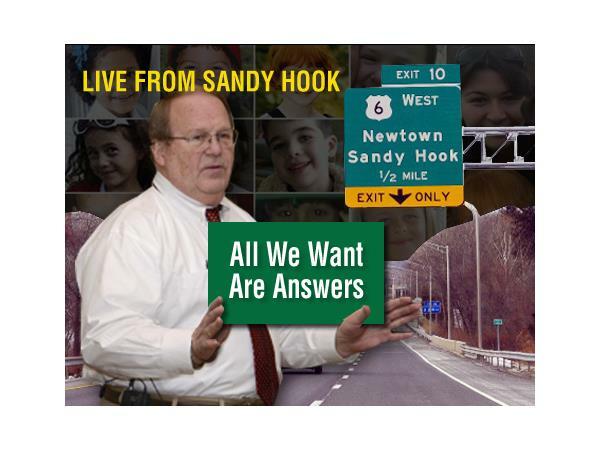 Apparently, Halbig was unable to obtain the answers to his 16 questions from anyone in Newtown after spending all of the time and money (from donations) to go there. One may see the answers to those questions by visiting Wade's page, which he posted on March 23, 2014. Halbig did not ask the school board the only question that they, having the proper jurisdiction over, could have answered—had the school been in operation during the last five years? Some people claim that it was not. It is uncertain exactly what Halbig and Fetzer actually accomplished but their visit certainly became the focus of a lot of media attention. An NBC correspondent was at the school board meeting, InfoWars had a representative there and the local newspapers covered Halbig's viist.